The result of the elections in Democratic Republic of the Congo (DRC), has announced Felix Tshisekedi, as the winner, gaining 7 million votes, with the runner up being Martin Fayulu, with 6.4 million votes. These are provisional results and the candidates now have a short period in which they can file objections. “We duly note the publication of the provisional results of the presidential election which, for the first time in the recent history of our country, opens the way to a change in power at the head of the State. "From the analysis of the elements observed by this observation mission, however, we note that the results of the presidential election published by the CENI (Electoral Commission) do not correspond to the data collected by our observation mission from the voting stations and vote counting centres. “On the day following this publication, we exhort everyone to prove their civic maturity and to above all avoid all recourse to violence. Millions of people went to the polls in the Democratic Republic of the Congo (DRC) to choose a successor to President Joseph Kabila, who has been in power for nearly 18 years. These elections have been delayed for two years, and were postponed from 23 December 2018, and took place on Sunday 30 December. 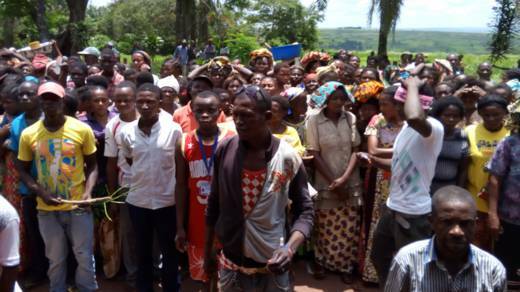 People in some areas didn’t get to vote at all because of the outbreak of Ebola in parts of North Kivu and fighting in Mai Ndombe in the southwest. The authorities have delayed the vote until March, which will affect around 1.25 million people. Which areas of the Democratic Republic of Congo (DR Congo) are worst affected by the current violence and humanitarian crisis? The epicentre of the conflict and violence is in the provinces of Kivu, Kasai, and Tanganyika. The violence has led to 4.5 million people fleeing their homes over the past year, 7.5 million Congolese do not have enough food to eat, and more than 2 million children are at risk of severe acute malnutrition, leaving a population of 13 million in urgent need of humanitarian assistance. Bernard Balibuno, saw for himself the devastating impact the conflict has had on communities when he recently visited Beni, in North Kivu. “I met Kavuro, a single mother of four children who fled her village because a militia group – the Allied Democratic Forces (ADF) looted and killed people in her area. 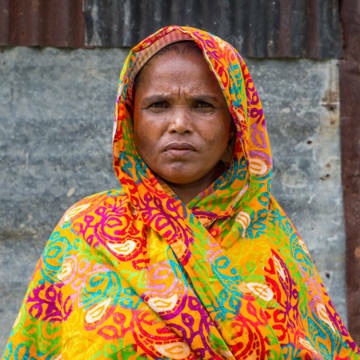 She is living with a host family from her church, but they are also very poor. “In such a terrible situation, host families share their already limited resources with families like Kavuro, despite seeing their own humanitarian situation deteriorate day by day. What has been the international response to date? The current lack of funding is seriously hampering the ability of local and international aid agencies to urgently assist Congolese people in the greatest need. Last year the UN Humanitarian appeal was only 57 percent funded. In response to the dramatic deterioration of the humanitarian situation, the UN called a Pledging Conference in Geneva (13 April) hosted by the Netherlands, the United Arab Emirates and the European Union. What has been the humanitarian response for communities affected by the violence? CAFOD continues to work with its local Caritas partners to respond to the needs of some of the most vulnerable and hardest-hit communities. In the Kasai region, CAFOD’s local partner on the ground, Caritas Congo, is being supported by our sister agency CRS to deliver food aid, shelter, health and hygiene care, and water purification products. In the Beni region, CAFOD supported local partner SOCOAC to raise rapid funds through the START Network - of which CAFOD is a member - to respond to the displacement; delivering food aid, household items such as bedding as well as shelter and safe spaces for the most vulnerable in communities. What is the Catholic Church in DR Congo saying? Bishops and Archbishops - members of the Permanent Committee of the Congolese Conference of Catholic Bishops recently visited Beni. In a pastoral letter released during a special session of the Bishops’ Conference; they said the situation in the country was “unacceptable” and the existence of a “humanitarian tragedy” threatens the stability of the country. “In the Grand Kasai region, we face a dire humanitarian situation. 31 Catholic health centres have been ransacked and 141 Catholic schools damaged. What is the situation of Ebola in DR Congo? The Government of the Democratic Republic of Congo declared an outbreak of Ebola, a rare and deadly disease, on 8 May 2018, in the province of Bikoro in the north-western part of the country. According to the DR Congo Health Ministry, to date, there has been 25 deaths and 54 cases of Ebola. Our Church partner – Caritas Congo – is working with the local Church networks on the ground to support people and communities affected by Ebola. They have identified the priority needs to be: caring for the sick, monitoring suspected cases, and ensuring the epidemic doesn’t spread further by raising awareness among the local population and applying drastic hygiene measures.